The club is sad to report that 23 year old midfield player Angus Beith who joined us from Heart of Midlothian in the summer is having to retire from the game to due a hip injury. The club and Angus had great hopes for the future when he arrived in Inverness in April but with an injury very similar to the one suffered by Scots tennis star Andy Murray. Angus has sadly not been able to overcome the pain that still persists despite surgery to help the hip. He has had to make a big decision on his footballing future to manage his long term well being later in life. Heart of Midlothian and Inverness Caledonian Thistle have agreed to play a benefit match against each other on a date to be confirmed in Edinburgh and everyone is desperately sad for Angus as he has battled extremely hard to overcome this injury. We wish him every success in the future and we are sure that given his positive attitude that he will prove to be successful in whatever career path he chooses moving forward. 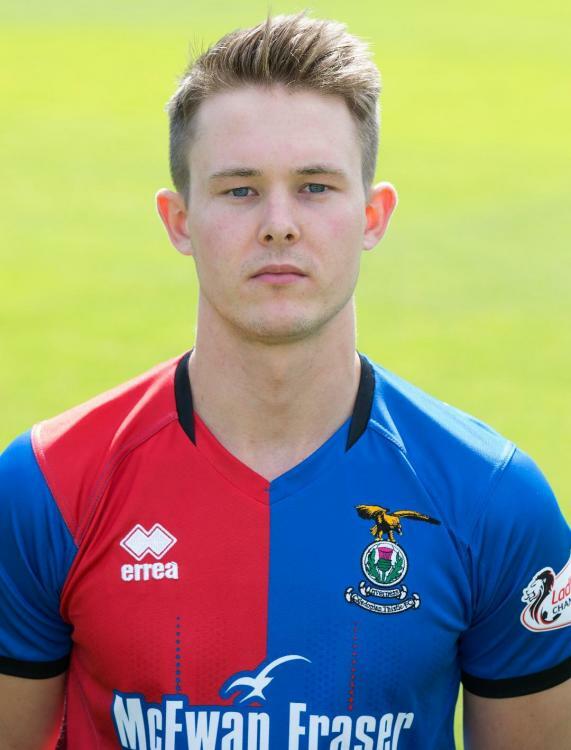 Inverness manager John Robertson said “Everyone is gutted for Angus as he has worked very hard to get back from his surgery and was close to playing on a couple of occasions but unfortunately just could not overcome the pain in his hip that would allow him to compete then recover from playing games." Angus Beith said “ I would like to thank John Robertson and Inverness Caledonian Thistle for the opportunity they gave me when I signed last year. Sad news indeed for such a young lad. Wishing you all the best for the future Angus, whatever your future brings. Caleyjag just sent me this statement. As someone who's suffered all his life with hip problems and Perthys Disease from childhood, I have the deepest sympathy for Angus and what he's going through. I'm 38, had my right hip replaced at 22 and left hip replaced at 30 (same procedures way before Andy Murray made it famous) and would not wish it on anyone especially so young. The likelihood is had he continued on playing or trying to play, he'd have done even more damage and been faced with similar options. Good luck with whatever you do going forward young man, never good to see a promising player have to retire so early. From the club's point of view, this is just bad luck. I can easily imagine that last summer there was enough reason to believe he would get back to fitness to justify signing him, especially given the reports from his spell at Stranraer were so glowing. It's not ICT's fault, it's not the medical team's fault and it's certainly not the player's fault. Just one of those things. Whilst the club got a lot of criticism on this board for the lack of communication regarding the player, I'd say they were right all along to be discreet about the player's fitness issues - better to let Angus deal with such a dreadful prospect in his own time and with a bit of space. I feel so dreadfully sorry for Angus himself. It's awful for anyone so young to have to give up their career, and also awful to be left struggling with chronic pain at that age. It's great that ICT and Hearts are going to play a benefit match for him and I do hope he goes onto great things either in coaching or outwith football. Very sad. Sincere good wishes to him for whatever he decides to do in the future. He may not want this at all, but if he did it would be good if both clubs could do something for him at the semi. Some sort of "guest of honour", VIP package for him and close family/friends - that sort of thing. Maybe shake hands with both teams, and toss the coin. Just to give him some special memories. Hearts have issued a statement for a testimonial to be played for him between hearts and ictfc. Date to be confirmed. Desperately sad news for the young man. We send our best wishes to him for the future whatever that may hold. Taken from Stranraer FC, here's some action on twitter of Angus scoring when he was on loan there from Hearts. Do we still have the receipt? While I appreciate this is an attempt at humour and to hopefully lighten the mood of the post, I'm not sure it's needed especially given what this young lad has probably had to endure. In fact I'm quite shocked at the lack of replies to this thread given so many people had so much to say about his where about on the other recently closed thread. I hope the testimonial is well supported. Looking at the Stranraer post, he had potential but sadly we will not now see him deliver it. I really hope Angus has a great future out with football. Angus Beith speaking on Sportsound this evening about his injury. Said he first felt problems during a loan spell with Stirling but prior to joining us he had treatment (surgery?) and he looked to be in the clear but it flared up again by October time and it was clear he had a decision to make. Spoke highly of Robbo and how he dealt with things. Comes across as a very mature guy so wish him all the best. Really feel like we missed out on an excellent player to injury.